Additional ink colors are available upon request. 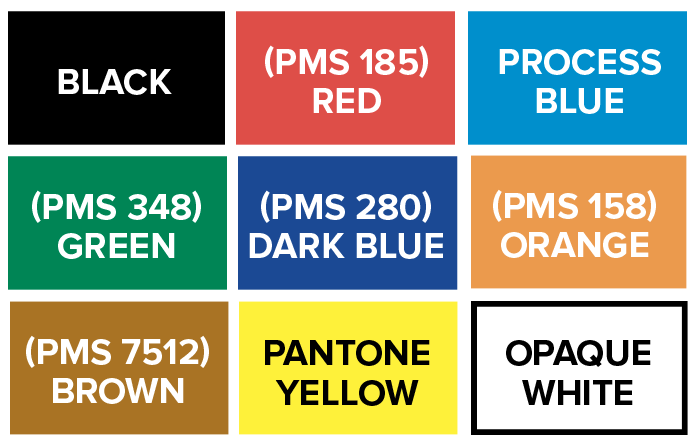 PMS color match available at $60 per color when printing flexo. All digital orders print in 4 color process only. All label items are routinely packed in cartons. Roll quantities, for most items, are 1000 labels per roll on a 3" core unless otherwise specified. These specifications may vary, however, depending on label size. Call us for pricing roll quantities of 500, 250 or 100. We will typeset up to, and including, 6 lines of type free of charge. 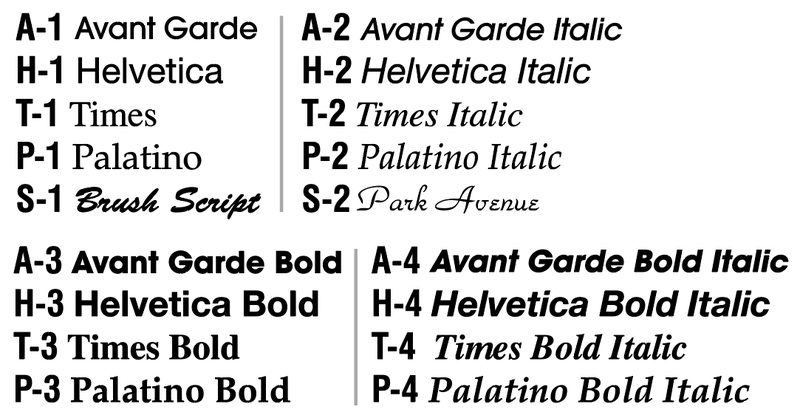 Choose one of our 18 most requested type styles seen below. If it becomes necessary for us to match type, we will select a typeface that is as close as possible from our available font libraries. PROOFS — Electronic PDF or color laser proofs (not true to color) are available upon request. If a proof is requested, a ship date will be assigned after proof approval. Press proofs are 150 each copy for digitally printed labels, these will not be die-cut. Flexo press proofs vary -please call for pricing. PACKAGING INFORMATION — All label items are routinely packed in cartons. Roll quantities, for most items, are 1000 labels per roll on a 3" core. These specifications may vary, however, depending on label size. Call us for pricing roll quantities of 500, 250 or 100. RETAIL PRICING — List prices are based on printing 4 color process digital on the designated label stocks listed. MACHINE APPLIED LABELS: Call to discuss specifications and obtain pricing information. This is the preferred method of submission. 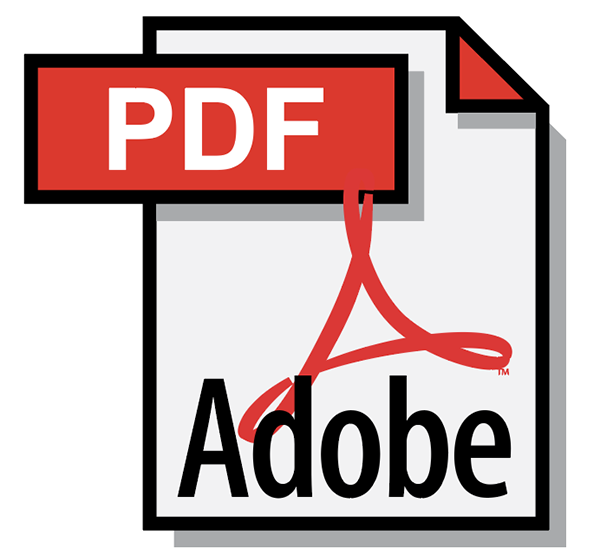 Remove/turn off security options for PDFs. Differences in kerning, font versions, anti-aliasing, etc. can cause small differences between what you see on your screens and what we output to press. Double check that all images are embedded into your document. Please ensure all rasterized artwork (images, effects, copy, etc.) is created and saved at or above 300 dpi. 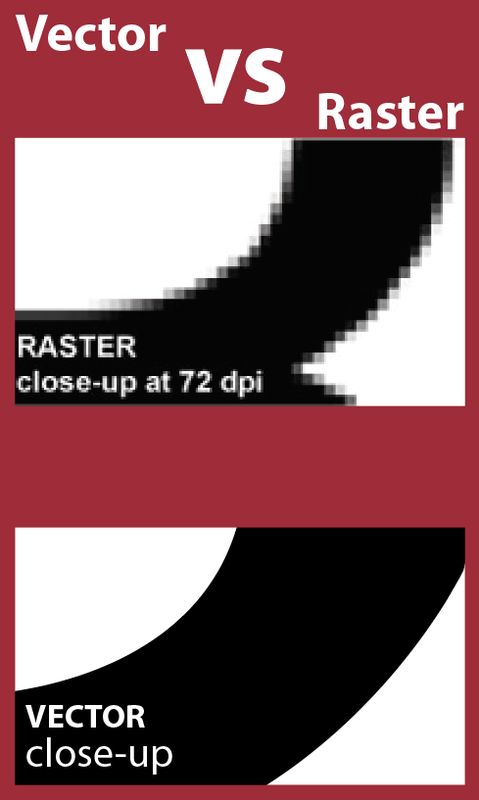 Vector art is preferred over Raster Images. Type should be no smaller than 5 pt. Thin, small fonts with over 3 colors may fill in slightly or appear “fuzzy”. Line weights of .5 pt or more assure optimum print results. We cannot guarantee the integrity of supplied drop shadows. It is preferred that barcodes/QR codes are vector/editable. CMYK documents preferred over RGB. Converting RGB documents to CMYK may cause an unexpected difference in color. Bleeds should extend .0625” past trim line. Any other artwork should be .0625” away from trim line. Because of movement at press. Please make sure to note which company you are with and if it is for a label quote or order.